Jazwares, a toy maker which produces Sonic the Hedgehog products, appeared at the Nuremberg International Toy Fair last week. 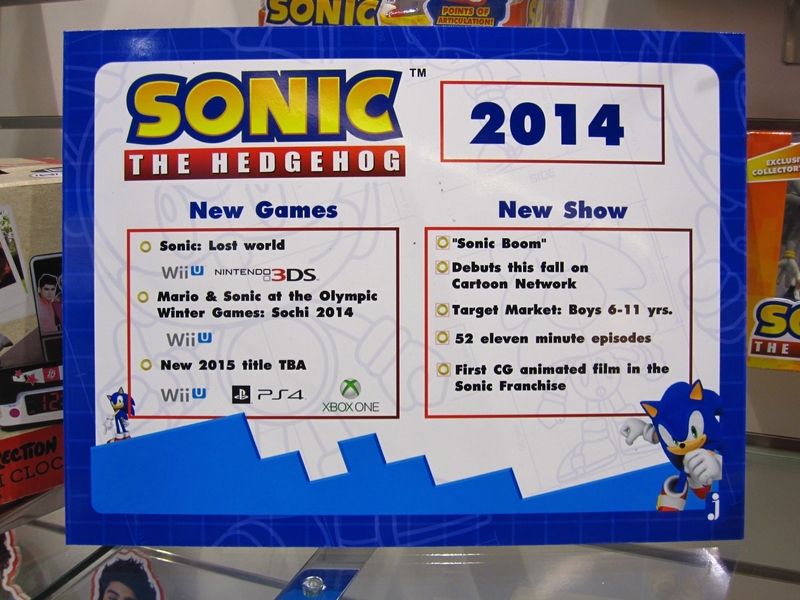 The company brought along the sign that seemingly reveals the existence of a new, untitled Sonic game. Assuming the image above is believable, we’ll be seeing the Blue Blur in a new title on the Wii U, PlayStation 4, and Xbox One in 2015.